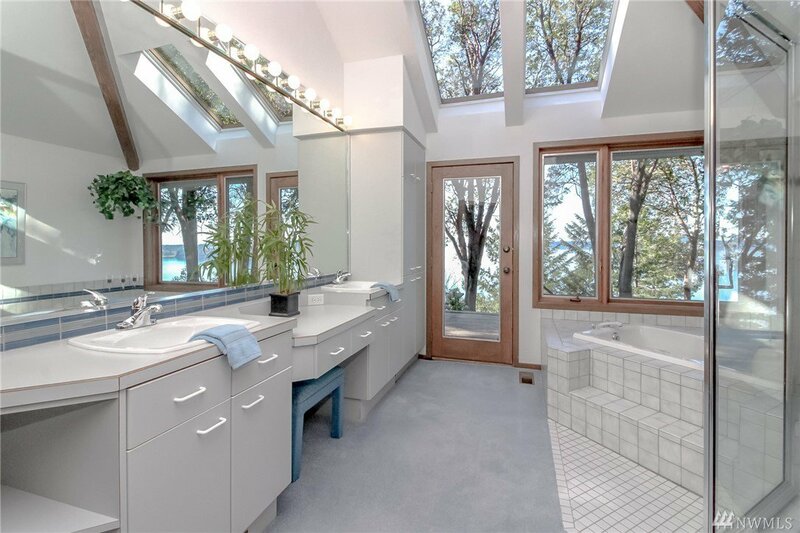 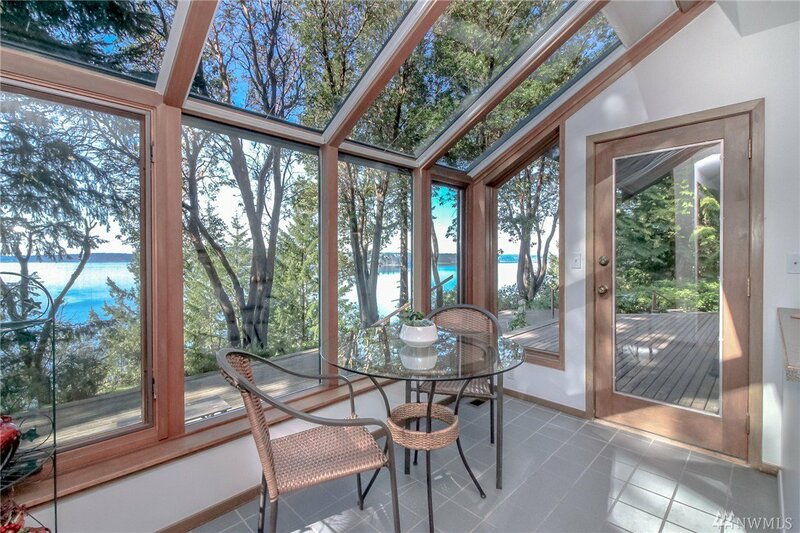 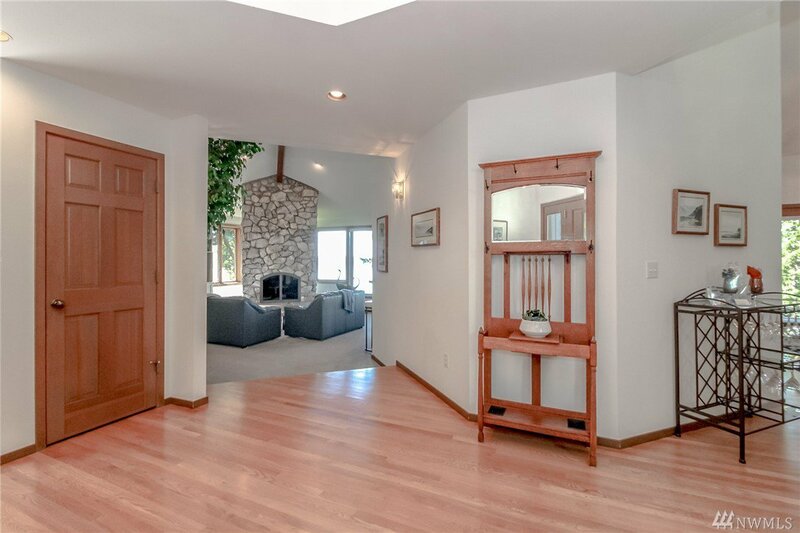 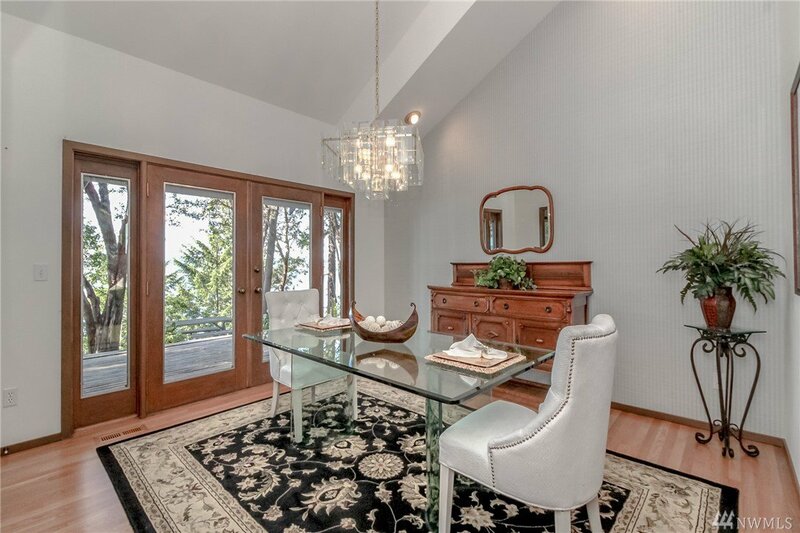 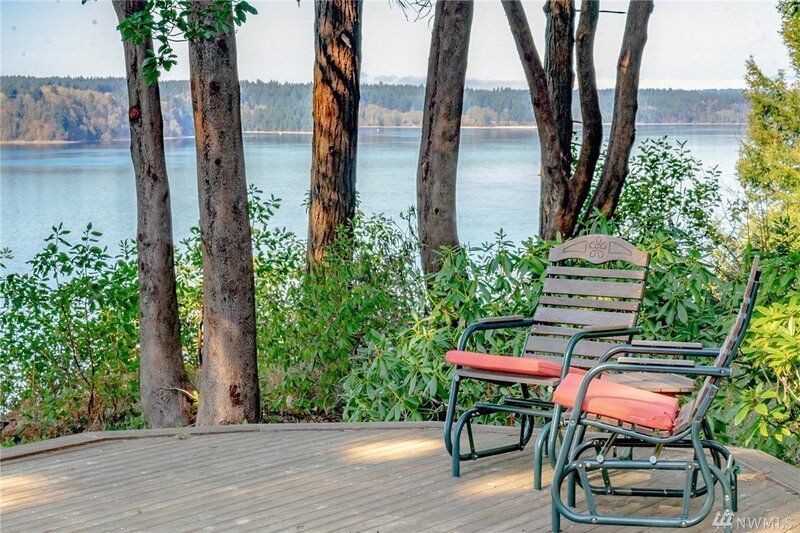 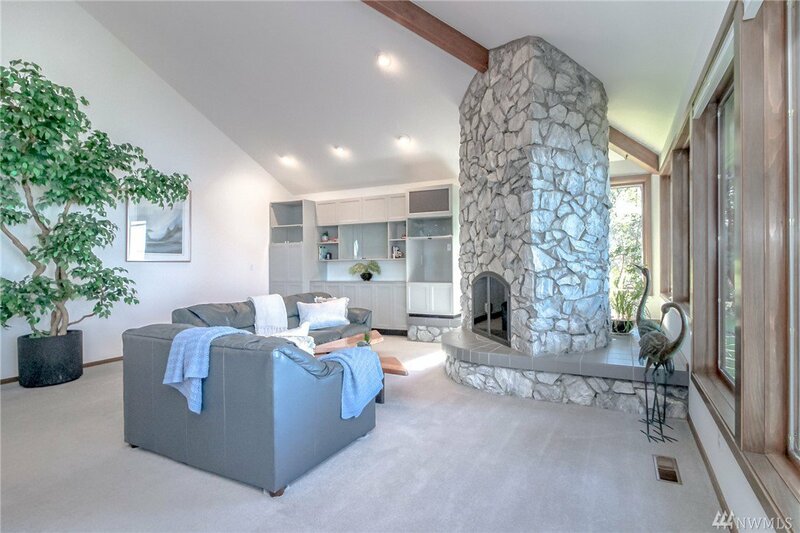 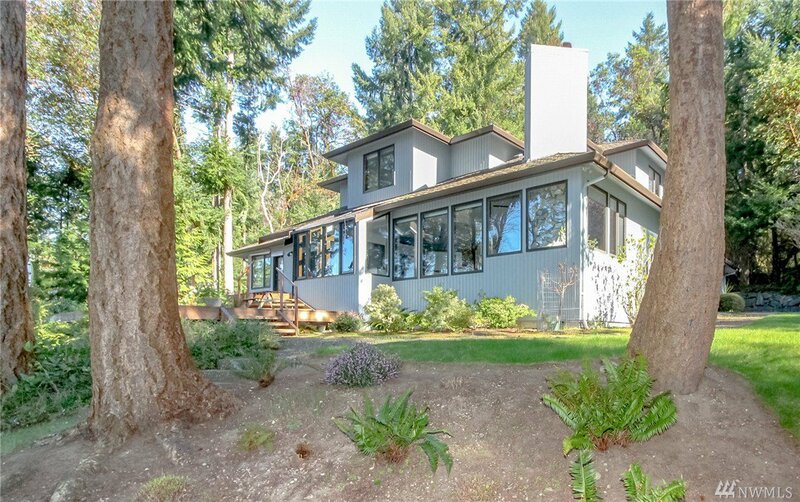 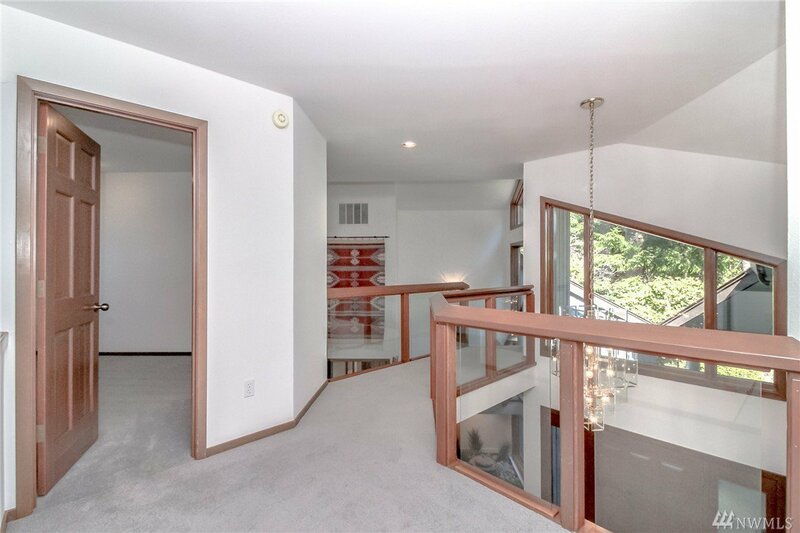 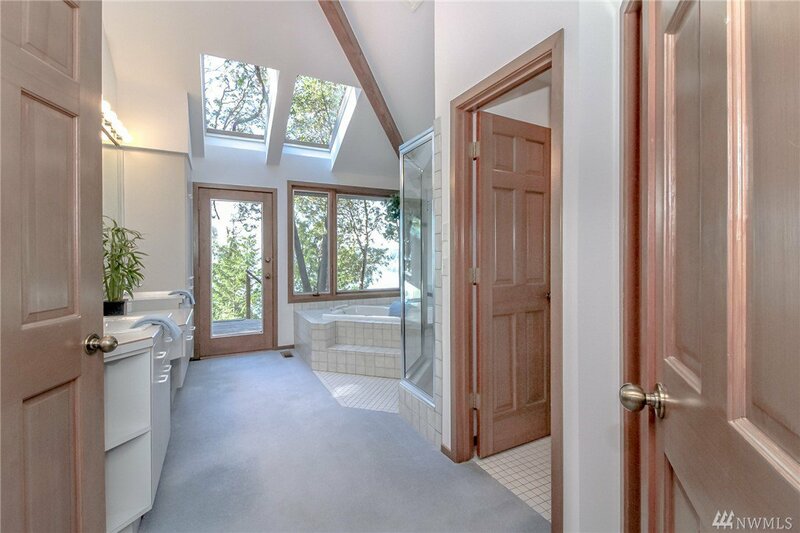 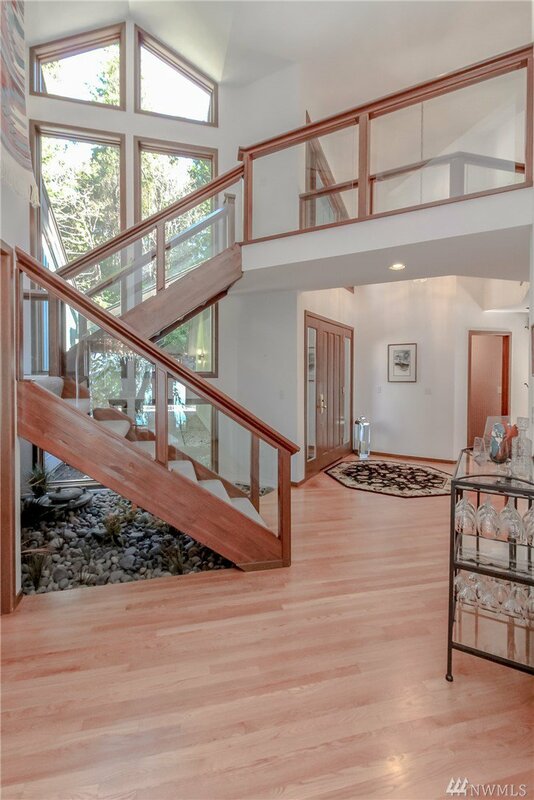 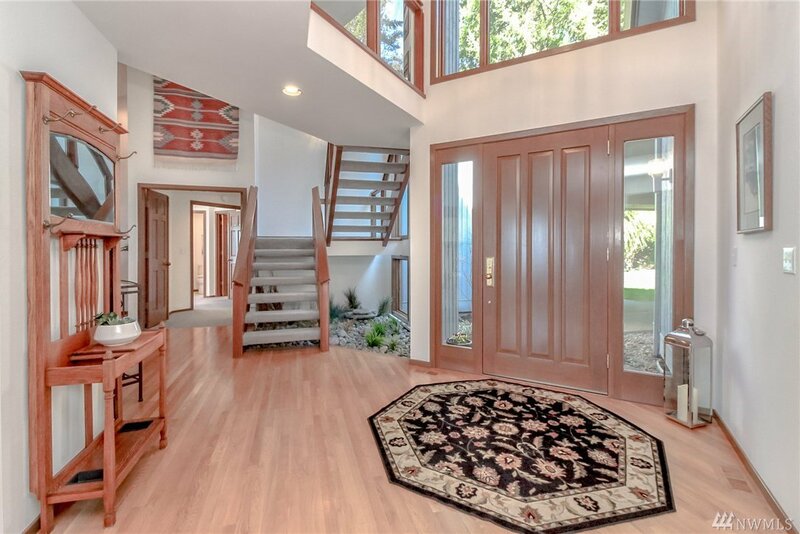 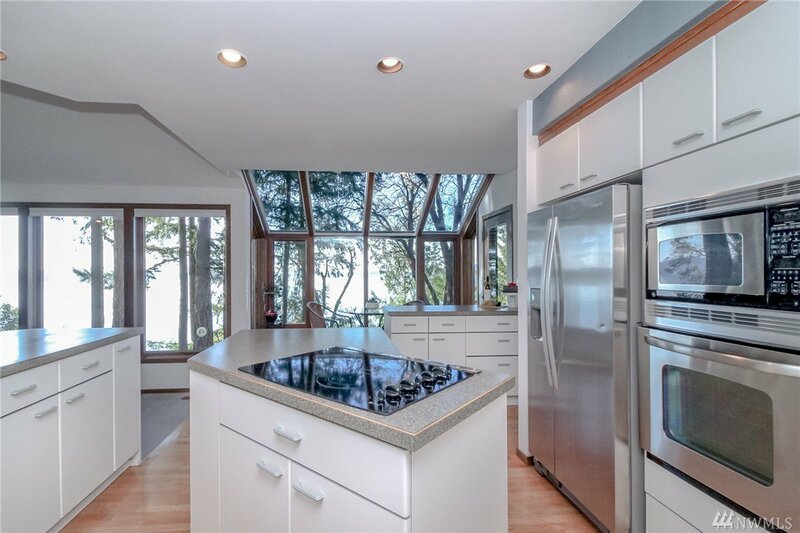 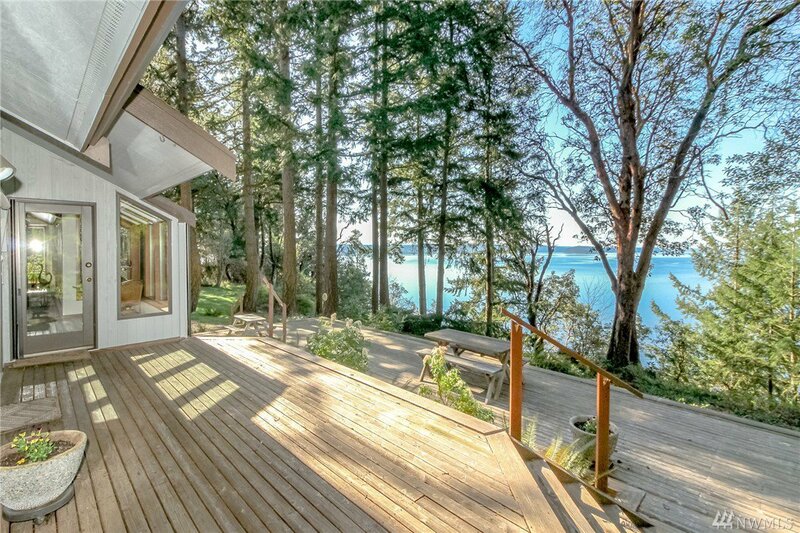 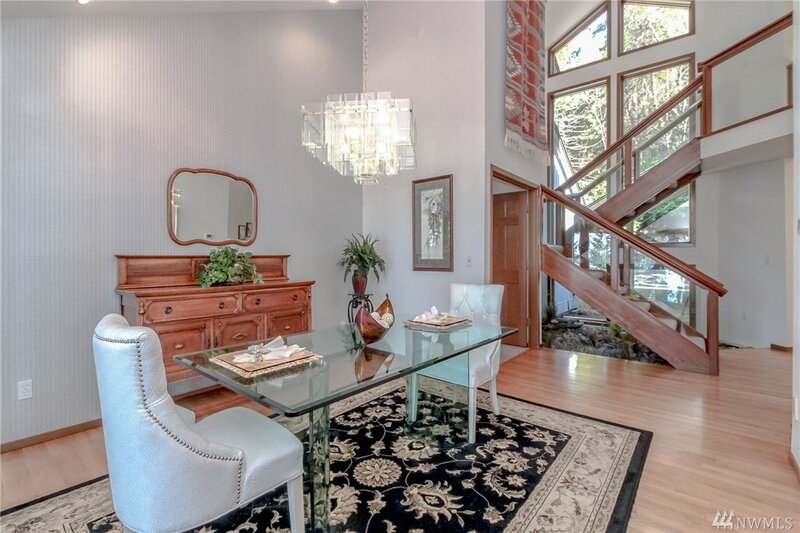 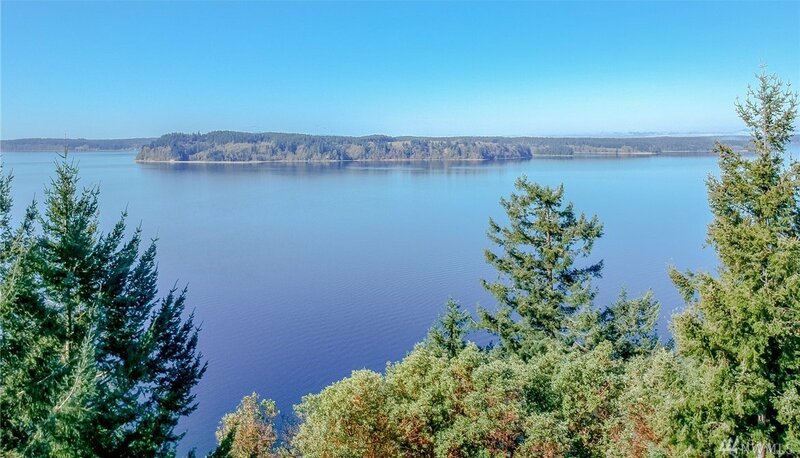 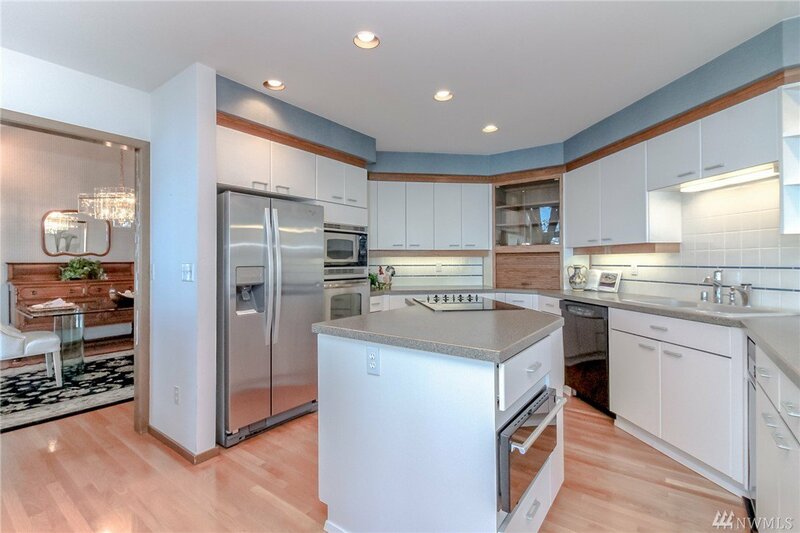 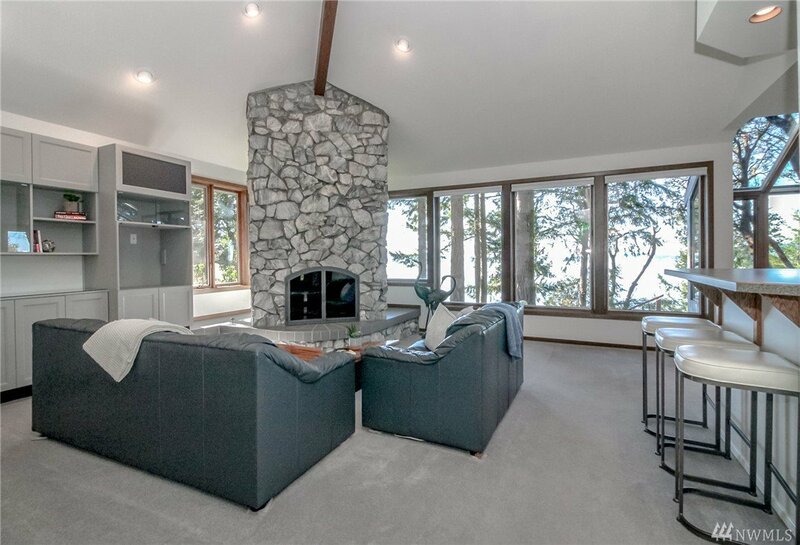 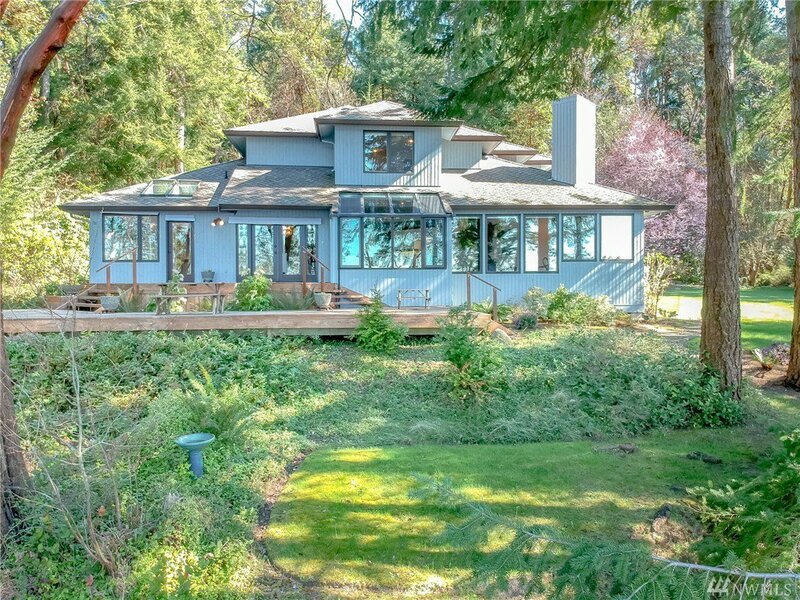 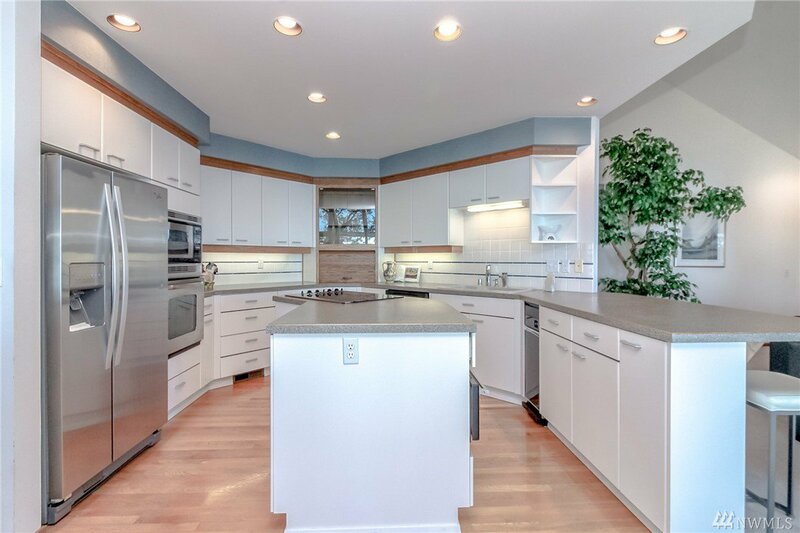 Serenity awaits you in this fabulous Northwest contemporary home with sweeping views of the Puget Sound & nearby Islands. 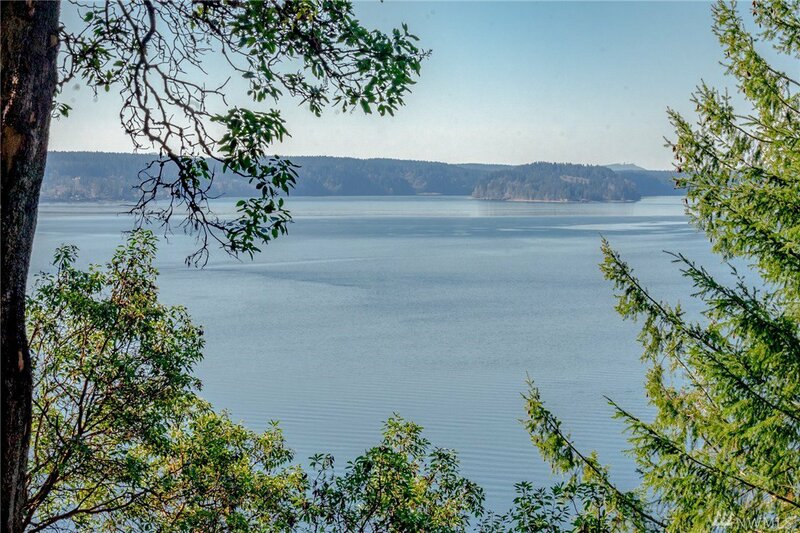 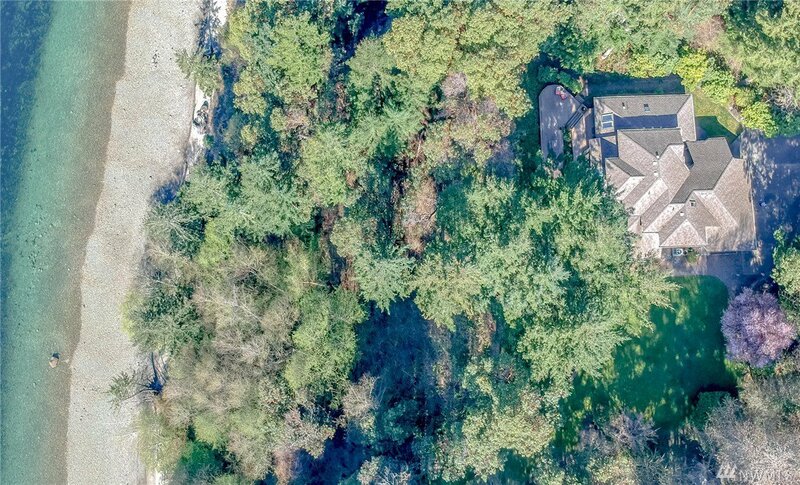 Fox Island estate with 275 feet of waterfront on over 3 wooded and landscaped acres (2 parcels included). 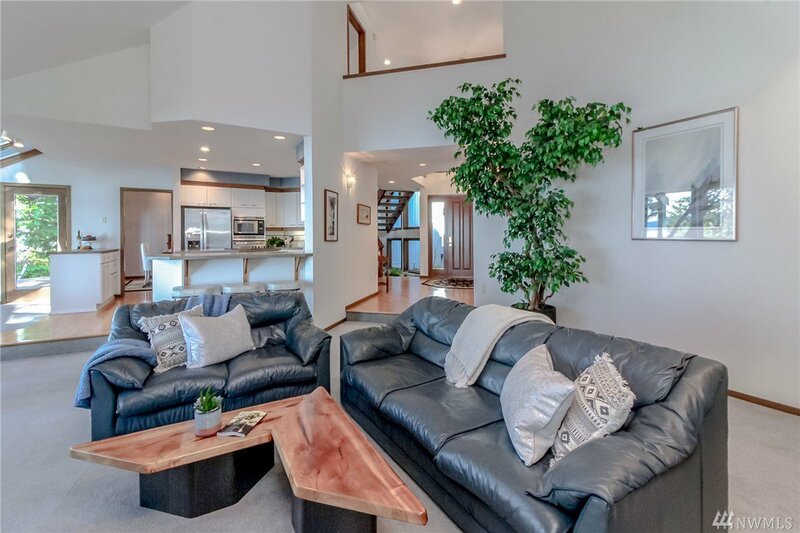 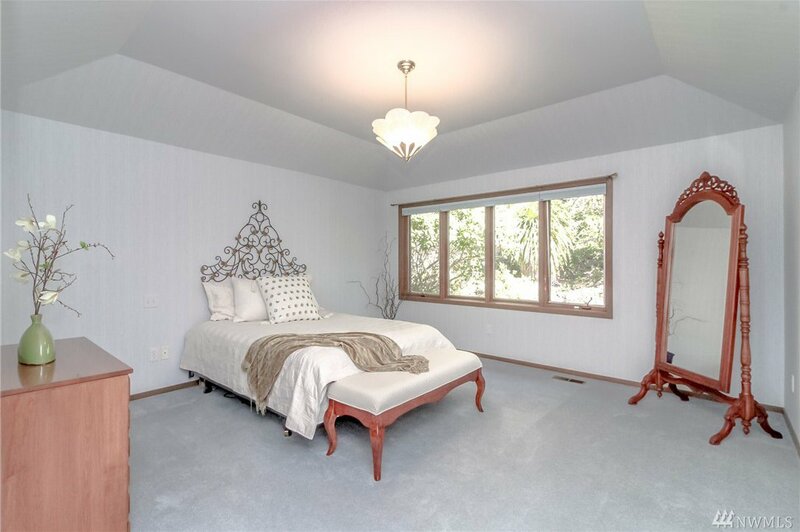 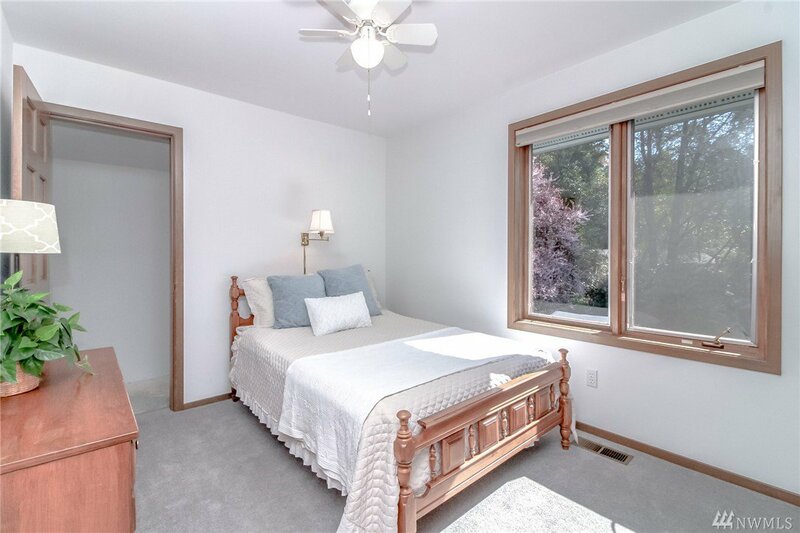 This home boasts a master on the main with 5-piece en-suite & walk-in closet, an open kitchen with nook, separate dining room, wood burning fireplace, spacious laundry, vaulted ceilings, built-ins, abundance of light & storage galore. 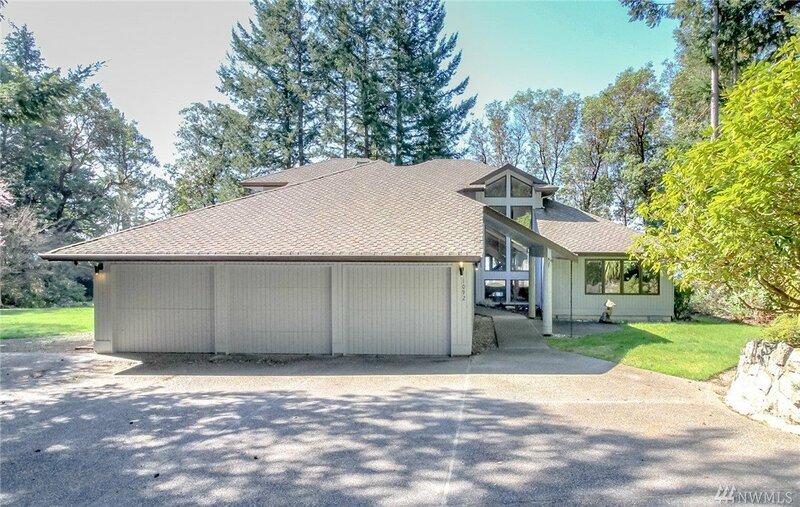 Three car garage + RV/boat parking.